June 20, 2009, The Homeland Security Department's inspector general said on Wednesday the national security threat posed by general aviation is "limited and mostly hypothetical." In a direct response to a television report, titled, "Is Houston a Sitting Duck for Terrorism?" A Houston television station alleged "security breaches" occurred at three local airports when reporters were able to approach airfields or aircraft without identifying themselves. Rep. Sheila Jackson Lee, D-Texas, chairwoman of the Subcommittee on Transportation Security and Infrastructure Protection, House Committee on Homeland Security requested Homeland Security to look into this matter. General aviation refers to all flights other than scheduled airline flights and military aviation. 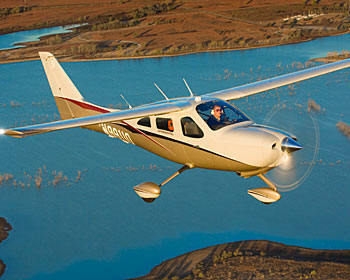 General aviation accounts for 77% of all flights in the United States and is a vital component of the national economy. It includes the very large air cargo transport sector, air medical-ambulance operations, flight schools, corporate aviation, and privately owned aircraft. General aviation activity frequently takes place alongside scheduled airline operations at large commercial airports, as well as at more than 5,000 public use airports, almost all of which serve general aviation exclusively. The Office of Inspector General (OIG) conducted an investigation, their objectives were to identify Transportation Security Administration security requirements for general aviation airports, threats to general aviation, measures taken to secure general aviation, steps nonfederal stakeholders have taken to enhance the security of general aviation, and any “incidents of concern” with security at general aviation airports. OIG evaluated allegations of security vulnerabilities at three Houston-area general aviation airports. These allegations were presented in an investigative report by a local television station. After completing their investigation, OIG determined that general aviation presents only limited and mostly hypothetical threats to security. They have also determined that the steps general aviation airport owners and managers have taken to enhance security are positive and effective. Transportation Security Administration guidelines, communication forums, and alert mechanisms, coupled with voluntary measures taken by the owners and operators of aircraft and facilities, provide baseline security for aircraft based at general aviation sites (see report TSA's Role in General Aviation Security).